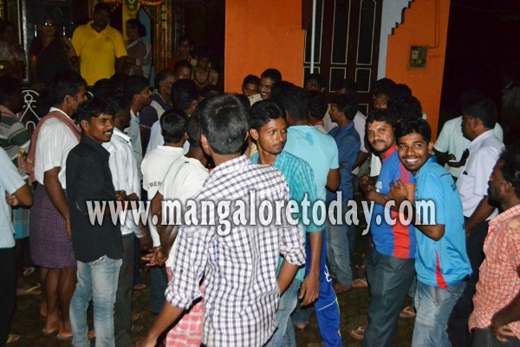 Kundapur, July 31, 2015: Three college girls who were walking towards home after alighting from a bus at Doopadakatte near Kandlur on July 30, Thursday evening were reportedly sexually harassed by four youth who came by two bikes. A police complaint has-been lodged in this connection. The incident occurred on Thursday evening when the three girls, all of them students of the local Government Junior College walked together towards home. It is learnt the youth in their bikes intercepted the girls, tried to sexually harass them and even passed lewd comments at them. It is said one of the girls even threatened to hit them with her sandal if they did not stop harassing them. Just when she parted ways with her two friends as she had to take a different route, the youth began to harass the other two girls for nearly half a km until their houses neared. After the girls informed their parents about the incident, a complaint has been lodged. SI Nassir Hussain even visited the residences of the girls to gather details regarding the accused youngsters including the registration numbers of their bikes. Here it is worth mentioning that few gangs which harassed young women were active in the town since some time, virtually creating panic among college students. Local Gram Panchayat Vice President Santosh Kumar assured to bring up the matter before the Panchayat meet and added that the Panchayat would also file a police complaint urging strict action against the culprits. In Kundapur i think, this has become common these days. The police just enquire and warn the guys,so the jobless guys just past time by doing so.